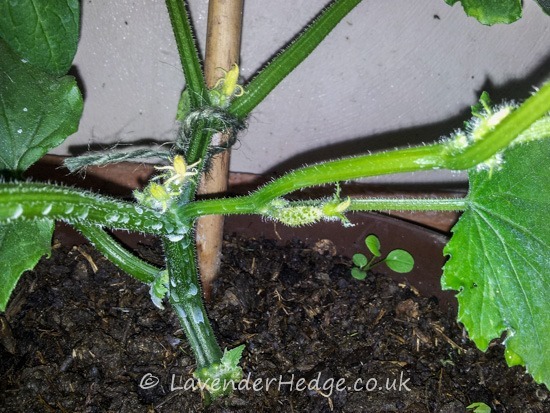 The cucumber plant, I am pleased to report, is looking remarkably green, probably due to the low dose feed I am giving it daily. 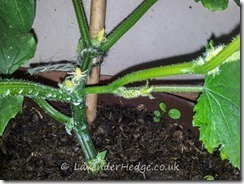 I was also delighted to see the first baby cucumber forming. 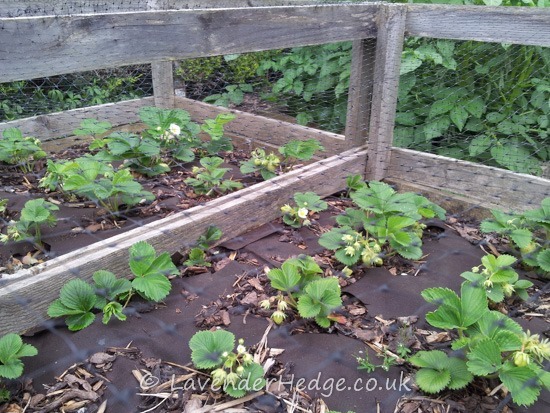 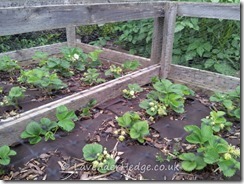 Strawberries are also developing on the new plants I put in this year. 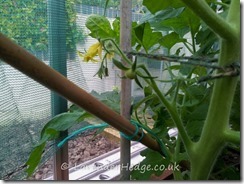 Have covered them with netting to stop the birds eating them before we do. 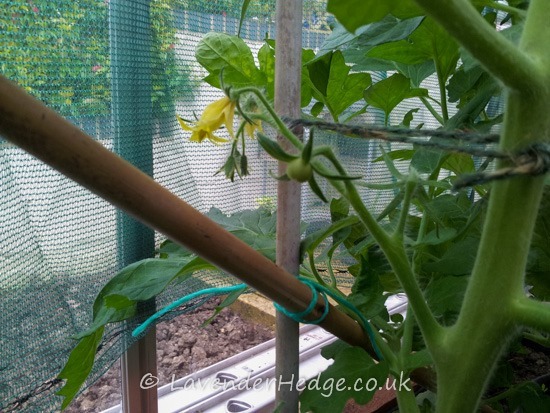 Just hope the mouse leaves them alone this year!